The fact that my re-visit to the magical wizarding world is drawing to a close (and far too quickly too) is making me very sad but I'm still loving the series so much. Having not read this book since I was about 9 (even then I only read it once) and only seeing the film once (the scene with the Inferi and the Horcrux scared me a LOT when I was younger. Well, it still scares me now but now as much.. anyway, I'm rambling) I'd pretty much forgotten everything about this book except for very few key bits of the plot. 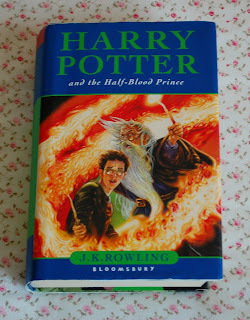 I found that because I'd forgotten so much of it, it was so nice to read the book again because it was almost as though I was reading a completely new Harry Potter book (despite knowing what the final outcome would be) because all the little details I'd either completely missed the first time because I was so much younger or I'd just forgotten. I'm just so in love with this series at the moment (as my tumblr shows only too well) and once I've finished re-reading the series there will (hopefully!) 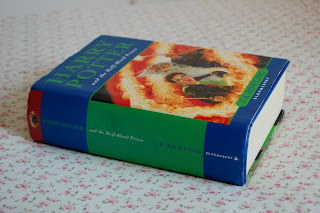 be a post about other Potter related things I've discovered in the last few weeks (even though I'm definitely behind on all of them, I can't believe no one told me earlier) that I want to share with you guys.